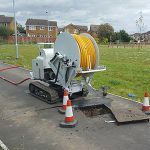 We are a diverse company offering a range of services within the drainage industry from CCTV Surveying, High-Pressure Water Jetting to installation of new drainage systems and tanks. We have an “on site, on time, as promised” attitude to our work. 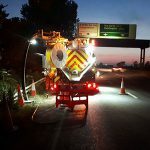 We are a long established, family run company that specializes in drainage services company who has been providing drainage services and waste management including industrial cleaning services across the UK continuously 24/7, 365 since 1979. With our continuous investment in vehicles, equipment and staff we have built a relationship with customers which is trusted to deliver a 1st class service every time. The team is led by Jon Mills, son of founder Dave Mills who took over the family business in 2015. 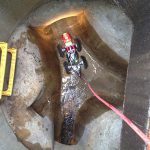 ACD Services operatives are all confined space trained, from manhole entry inspections to large deep entries requiring a rescue team. 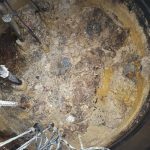 We have invested in a comprehensive range of confined space equipment allowing us to complete a range of confined space entries in-house with no third parties. 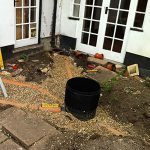 Our team can carefully plan and liaise with the client on the scope of works to ensure a safe method of work is in place before any works take place. 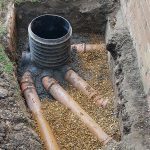 We underwrite all our own method and risk assessments making sure everyone is kept safe whilst carry out any confined space work.